Superfast broadband customers should soon be looking at cheaper and more flexible deals, following proposals by Ofcom to shake up market competition. The plan is to cut costs which broadband providers must pay when switching customers, as well as shortening the minimum length of contracts. The idea is that this will then trickle down to customers, giving them better deals for superfast broadband connections. Providers currently pay £50 to BT for every customer they switch onto the Openreach network – a bill customers usually have to foot. But Ofcom is planning to change that, cutting the cost of switching to somewhere between £10 and £15, while also reducing the minimum contract length to just one month. 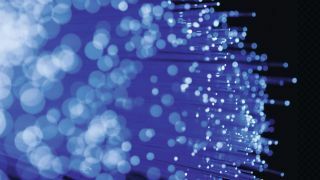 Only around 13 per cent of the UK currently use superfast broadband, but Ofcom has realised that faster connections are becoming more popular, and is hoping to shake up market competition. "Under proposals for consultation, the wholesale cost of switching a customer from one superfast broadband supplier to another would fall by up to 80%" said Ofcom in a statement. It added that the increased competition would be expected "to flow through to consumer benefits in the form of lower retail prices and easier switching between superfast broadband providers."